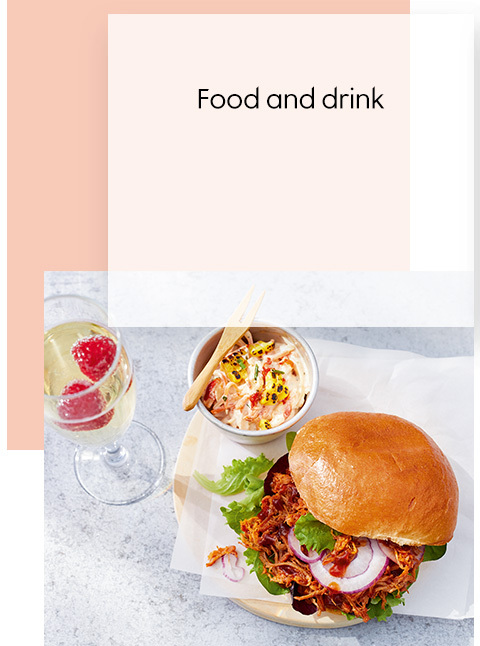 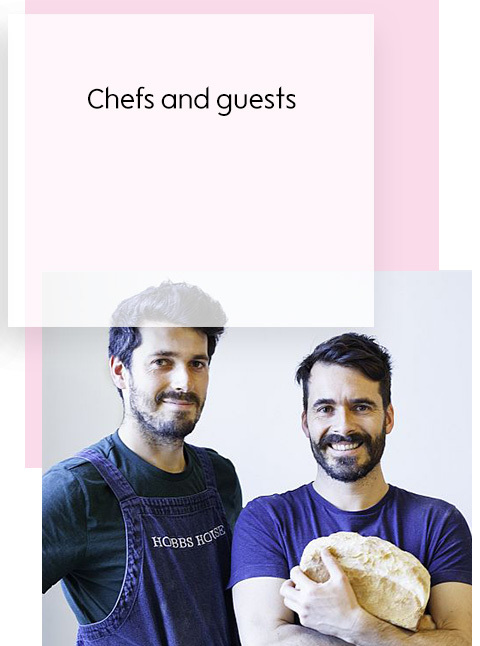 There’ll be tastings, pop-up kitchens, food and drink pairings with our experts; expect delicious treats at every turn. 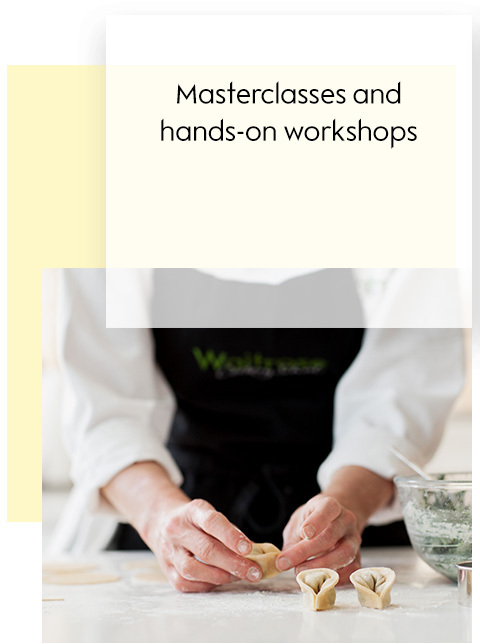 Try out your skills in a cookery class, join a masterclass in food and drink pairing, make your own flower crown or stretch out in a yoga class. 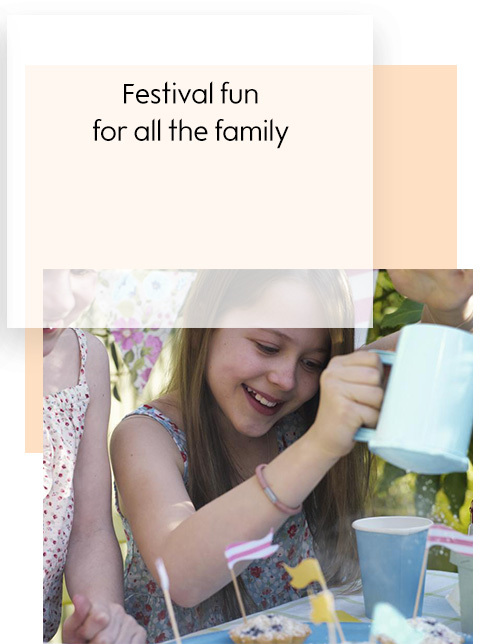 There’ll be plenty of activities for all the family. 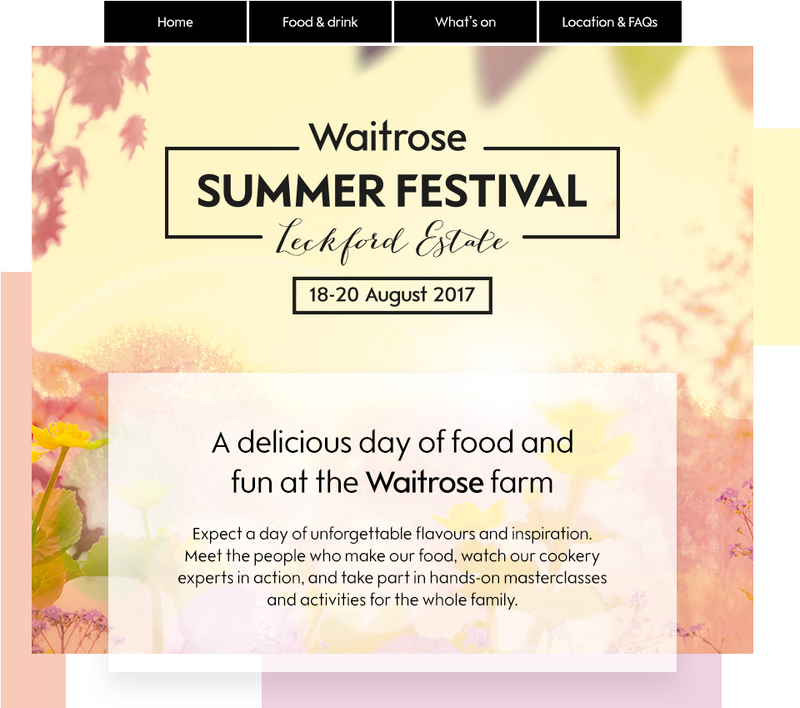 Junior chefs will be able to get hands-on in the children’s Waitrose Cookery School, meet our farm animals and much more.